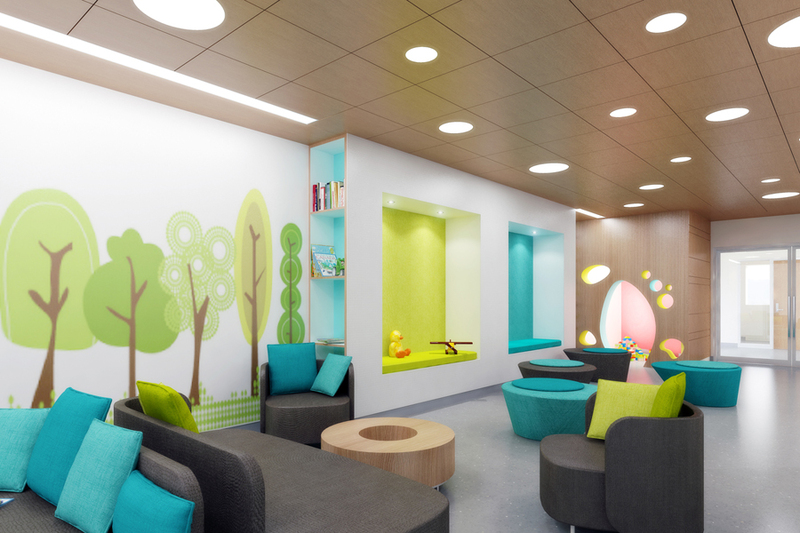 Should we really design healthcare spaces (or others) specifically for women? Ten to 15 years ago, no-one tested medications with women volunteers as there was this notion that men’s and women’s bodies are identical in their responses to medications. Unfortunately for women, the scientists were wrong. Women’s bodies respond very differently – not just to medications, we also have different symptomology for heart attacks and strokes from those that men do. As a result, the science of gender-based medicine was born with some very powerful research institutes and wealthy donors to fund the research. If women respond differently to the medical aspects of healthcare, do they respond differently to the physical environments of healthcare? The answer is a qualified yes. Women perceive spaces differently from men; they have a different boundary for their comfort level for personal space, their perception of physical safety within an environment is different and they have a stronger sense of haptics (sense of touch) than those with a ‘Y’ chromosome. Spend some time in a mammography waiting room with a group of women in backless gowns and you quickly discover there is a difference from spending time in a clinic where patients are both male and female. In the Mammo waiting room, you will see women turning chairs so they can see their neighbour when they are conversing, no chairs are left empty between patients, the TV gets turned off or ignored, the volunteers are invited to join conversations and everyone has an opinion about the quality of the magazines. Venture into a regular clinic waiting space, there is much less conversation between patients, chairs beside male patients are only occupied by another man or a family member, the TV blares forth and the place is silent except for whispered conversations. There are numerous scientific studies that demonstrate that women prefer to speak face-to-face and are made uncomfortable by the long rows of chairs typically found in waiting areas. When walking to an appointment along a street, women will move to the farthest point on the sidewalk from the building face as their sense of security is threatened by potential dangers from the perimeter of the building, especially those with hiding opportunities. Women’s response to touch is very different from men’s and means they are more impacted by the chair upholstery, the metal arms of the chair, or the roughness of a table edge. 1. Increasing the level of perimeter lighting around the exterior of the building so women feel safe in the evening hours. 2. Providing a variety of types of chairs in different configurations in the waiting rooms so women have choices about where to sit. 3. Being sensitive to women with small children and provide flexible seating so mothers can cuddle up with a child without having a chair arm in the way. Of course, it isn’t just mothers who take children to appointments and offer reassurance to their child we’re thinking of here. Nor is it only women who worry about threats on dark streets. 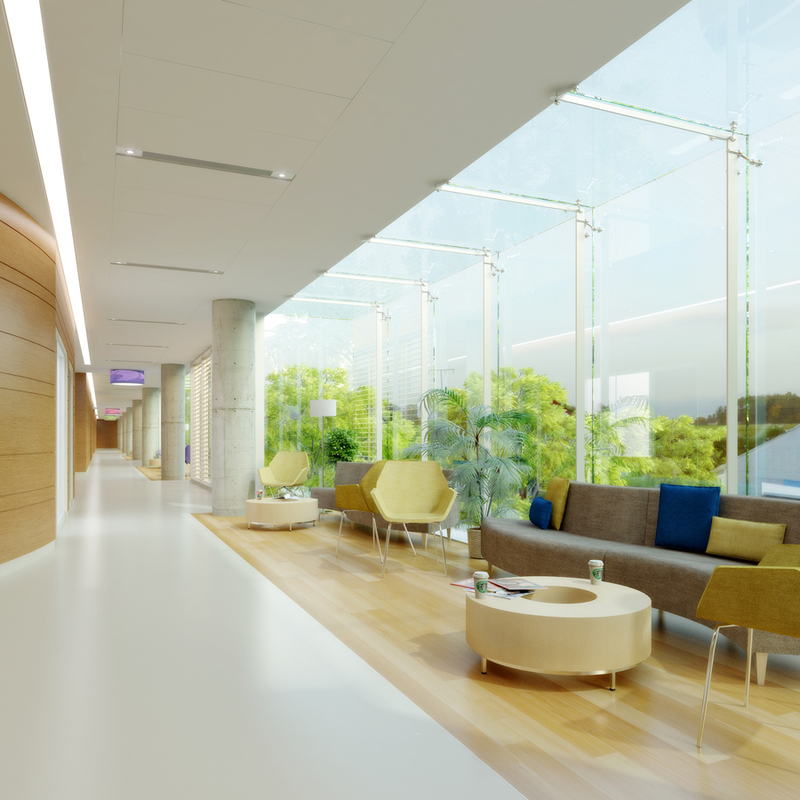 By designing healthcare facilities with women’s needs in mind, we can design facilities that are more responsive to all users and facilitate everyone’s experience of a healing environment.